IFR: Clouds, Crocs and the Glades! 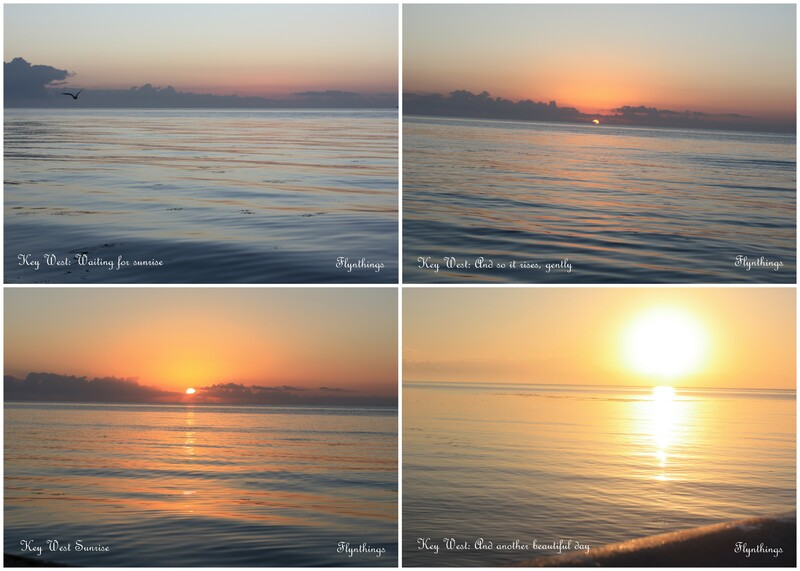 Linda and I set off at 6 am and drove over to Southernmost point, to catch the Key West sunrise. I remembered walking here with my friends last time I flew to Key West (see Island Hopping in the Keys). Right away we knew it was not the best spot to catch the rising sun. On the advice of morning bicycler we drove on to the white street pier to catch the sun rise. We got some of the best morning sunrise shots. When did we ever get what we filed? Before we reached MTH, clouds loomed ahead. We decided to continue flying through clouds, and if it was too bumpy, we could always cancel IFR and descend lower. Just as we prepared to steady the aircraft, and enter the clouds, Miami Center inteceded, “Whenever you are ready to copy, I have an amended clearance for you.” What a time for it!!! “Sure,” responded I, while I struggled to keep the aircraft level and entered the clouds turning to the new heading. Did some one talk about the Glades and the Crocodiles? We flew almost 30 minutes through the clouds, and over the glades and refused to think about crocodiles. In and out of clouds, but mostly in. I was okay with it, since I knew I could fly straight and level. There was nothing convective showing on our iPad’s, at least there were no thunderstorms looming. I knew Linda was not comfortable with it. So I opted to climb higher. Not that it helped. We continued to fly through clouds. Less worried about crocodiles or glades, but sudden buildup of thunderstorms, we descended to 3000 ft. Out of the clouds for a while, but over the glades and maybe some hungry crocodiles! It was a day for IFR — instrument flight rules and instrument meteorological conditions (IMC). We flew in and out of clouds before landing safely at FPR. I had no doubts of my flying skills in or out of clouds. It was doubly reassuring that I could and I did and got all that experience in actual IMC. Since getting my IFR ticket, I have only had some short duration IMC experience, flying VFR (Visual flight rules) on top or shooting an approach into an airport (see Chasing Clouds). This was the first time I flew through IMC for an extended duration and it was awesome. Certainly helps to have another pilot in the right seat! After a short break, we set off again. Although our original plan was to get as far north as St Simons Island (KSSI), so we could get an early start the next day, we opted to land at Ormand Beach (ORM) and stop for the night. You win some you lose some.